We really enjoyed Family Times 3. The skin/out could not be any more convenient. We literally skied right up to our door when we we took breaks or were finished for the day. 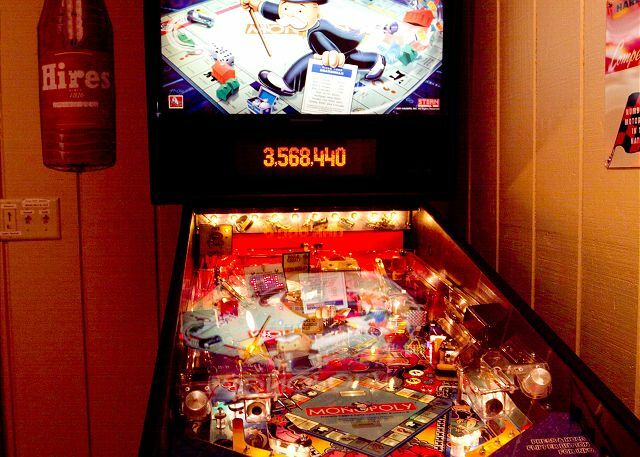 The hot tub and pinball were such a huge perk that we used almost non-stop when we weren't skiing or sleeping. The Gun Barrel Lodge is really nice, and convenient and good place for morning coffee if you forget to bring your own. We enjoyed the Caribou Lodge, but since we were there at the end of the season during the week, we only got to take advantage of it for one night. But, it had a fun atmosphere, great service, and good food and drinks. There weren't any overwhelming downsides to the place. We could not get it to cool off without opening the doors no matter how low we turned the thermostat. It wasn't that big a deal for us, but obviously not very efficient for the resort. It could use a few updates, but overall, it's probably the most high end option of any ski resort in the UP. Bottom line: we loved it and will probably be back. We love all of the Family Times units. We very much enjoyed our stay on the last weekend of the season. With most of our family too sick to ski, it was helpful to have lower level games and hot tub/sauna. We did a little skiing on Saturday with the fresh snow. Perfect. And the ability to ski in/out made all the difference. Thanks! We have been coming for 8 years. We have 3 units and love it! Super clean, beyond our expectations. Thank you for a wonderful vacation. 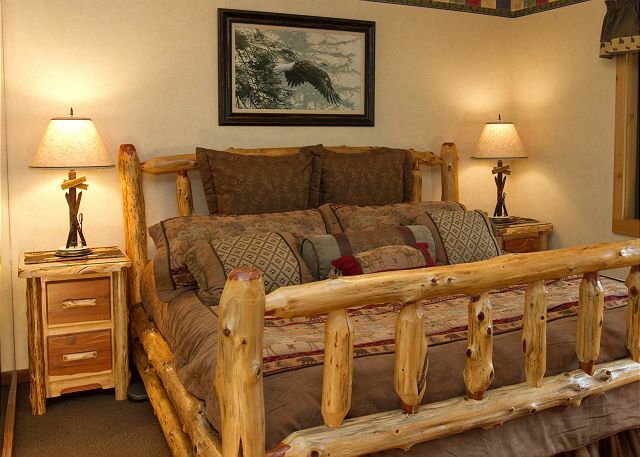 Unit is wonderful place to stay and enjoy the slope, lodge,and friends. Once again the owners/managers have done a wonderful job. Small updates continue to occur so that these unit are never in disrepair, Thanks for providing such a great unit. We had a great time. This was the first time we stayed on the hill and will never do it another way again. The location was perfect and the amenities of the condo were great. The kids were able to ski in and out all day and play all evening. 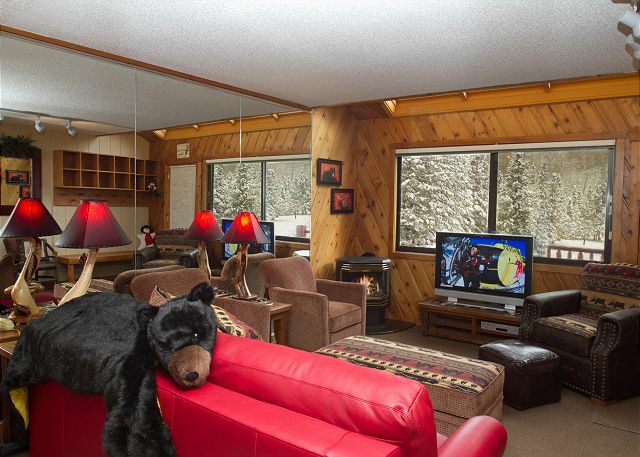 Great location and well equipped accommodations with everything that a family needs for an enjoyable experience. It was wonderful. Place was clean & in the perfect location. Will be back! We rent units 1, 2, and 3 and have a great time every year. Our family of 6 had an excellent stay in Family 3. Skin-in-Ski-out was very convenient. 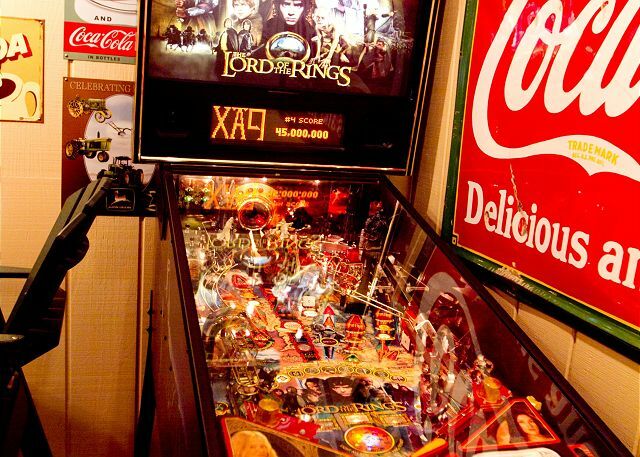 Hot tub, sauna, pinball games, foosball was enjoyed by all every night after a hard day of skiing. We love the Family Times. The only thing that would improve the experience is if we could bring our dog. We relax, play, and ski together and enjoy the invaluable fleeting family time. This is the second year we have come and stayed at Family Times 3. The family and I love it! Fabulous! Clean, fun and perfect location. Best Vacation Rental Property Ever! Annual family ski trip to Big Powderhorn - 1st time in Fam Times 3. Ski-in/ski-out a huge plus with beginner skiers (adults and kids). 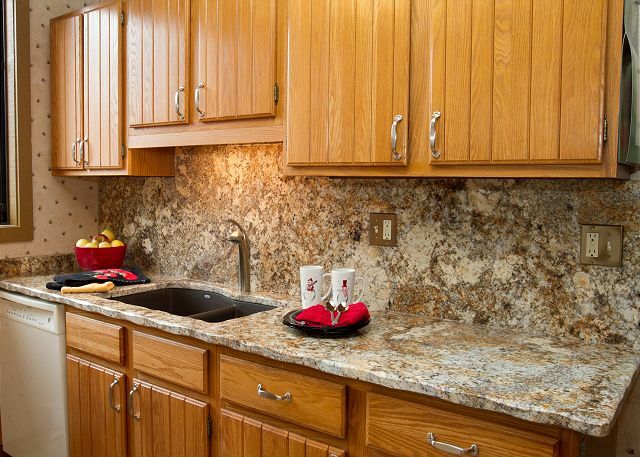 Cleanest, most well-appointed unit, best-stocked kitchen (cooked every day except for one), and best amenities in any unit we have ever rented. We have rented units across the country and have had our share of good and bad. 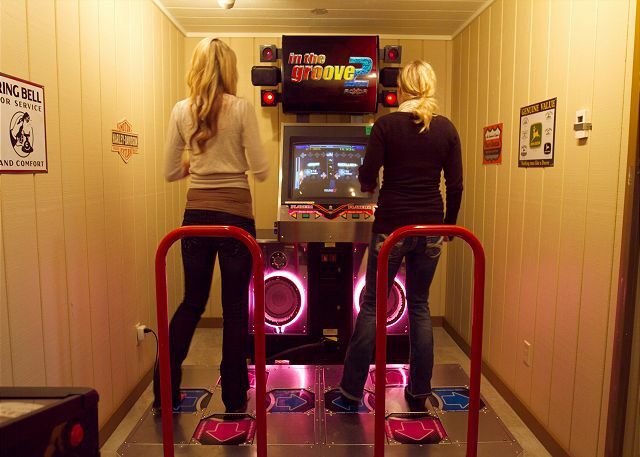 Its spa, pinball games, and Dance-Dance Revolution game were wonderful to have and were well-utilized. Rental staff, ski school staff, and the population in general were all the nicest, most courteous people we have ever encountered. I thanked everyone at the ski school and the lodging office for their courtesy and service upon our departure. We have already booked next year's trip in FT3! Great unit, great kitchen, great arcade room. Even though the hill got closed do to -40 weather. We really enjoyed hanging out in the unit with our family. The views were beautiful, the stocked board games were great and of course the arcade was a huge hit! Best family unit we have ever stayed in. The kids loved the basement, with pinball,dance revolution ect. We could ski out the door. The only problem was lack of snow, only 8 runs open. We got 4 inches of snow a day. 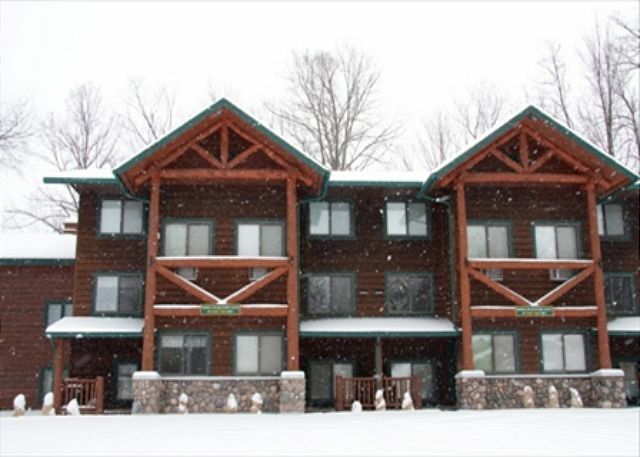 The facility was great, the condo was perfect for our family of 6 and the skiing was perfect. Great Family space with fab amenities! Location can't be beat, on the middle of the resort and situated on a lit hill for night skiing. Fully stocked kitchen (I even baked a cake) and cozy Tempurpedic beds to slip into after a long day. Highly recommend!! It is the perfect place to rent...only I don't want to tell anyone because it is so difficult to get already!! Great accomodations and tons of fun despite the snow conditions! We had an unseasonably warm (lack of snow), then cold (so icy conditions) weekend in January, but what made the trip so wonderful was that everyone (family with ages 17-40) had a blast, because the Family Times unit is so full of ways to have fun and be together no matter what it's like outside. We love coming up for long weekends and we've made many wonderful family memories here. The chalet certainly lives up to its name! Family Times was the perfect place for all 27 members of our family to spend a week together. By renting all 4 apartments in the condo, we were able to enjoy being together, share the cooking, play lots of games yet be able to spread out to relax. 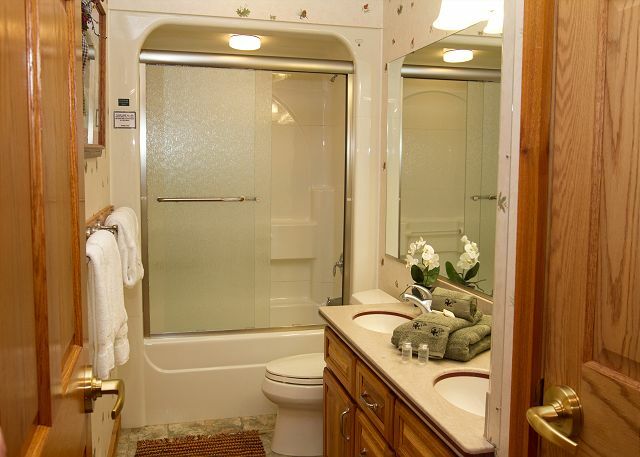 The setting is beautiful, the condo is very clean and amenities abound! It was the perfect place for our family gathering! We have stayed at Family Times 3 for two years in a row and love it! Would highly reccomend this property~!!! Great Skiing, loved the Family Times 3, fun games and great relaxing, awsome location on the hill and close to chalet. The skiing is not open late enough, (9-4) not even till dark??! Chalet and pubs have random hours. Should get some free lift tickets or 1/2 price at least with the premium priced rental units, only offered 6.00 off. Amazing place to stay! We will continue to stay at Family Times as it has everything we need! Wouldn't change a thing! We had a most delightful time at the Family Times 3. Our 3 boys could hardly believe their good fortune when they spied the game room and foosball. The skiing was fantastic. The only thing we had to do was call for additional towels. Since we stayed for 4 nights, we needed them. They seemed a bit surprised by our request but brought them right away. We had planned an staying and then going to Indianhead and Black Jack. We loved skiing right out our door and instead skiied 3 days at Big Powderhorn! The condo was unbelievable! Everything was picture perfect and the rec room was top notch. Had a small issue with the hot tub shorting out but the owner was 2 units down and allowed us to use the unit next doors hot tub. I would reccomend this place to anybody who wants the perfect gettaway vacation! 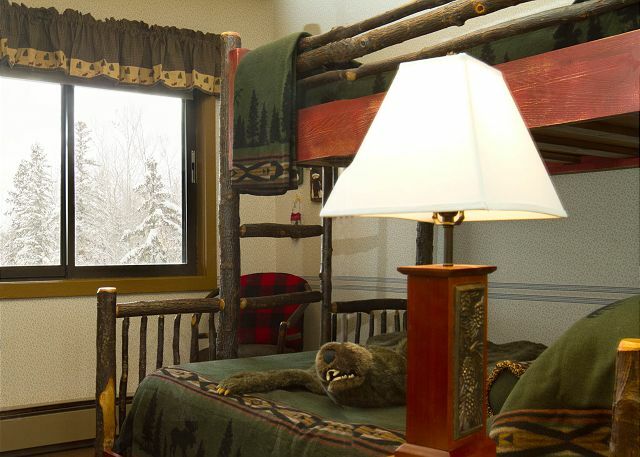 We've been coming to Big Powderhorn since the late 1960's; and been staying at Family Times (formerly called Après Ski) for years. 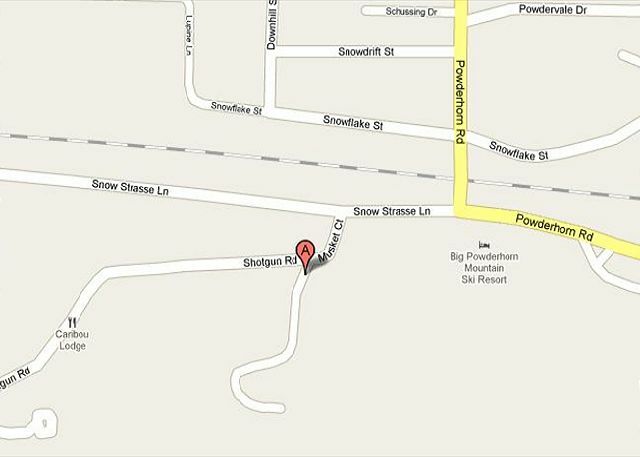 It has the best location on the mountain, and is a great place. On a different note: It would be helpful to publish and provide a list of phone numbers at check-in. (Such as Caribou, Main Lodge, Alpen Inn, etc.) With the new BP LLC lodging arrangements the staff was still getting used to it all--BLPA has this part down pat!